Not only is this recipe inexpensive (less than $15 for a 6 month supply) but it is safe for cloth diapers and cleans very well. It’s low sudsing so you can use it in your HE machine or it works great in a regular top loader too. Stroll out to the wash porch for the recipe. 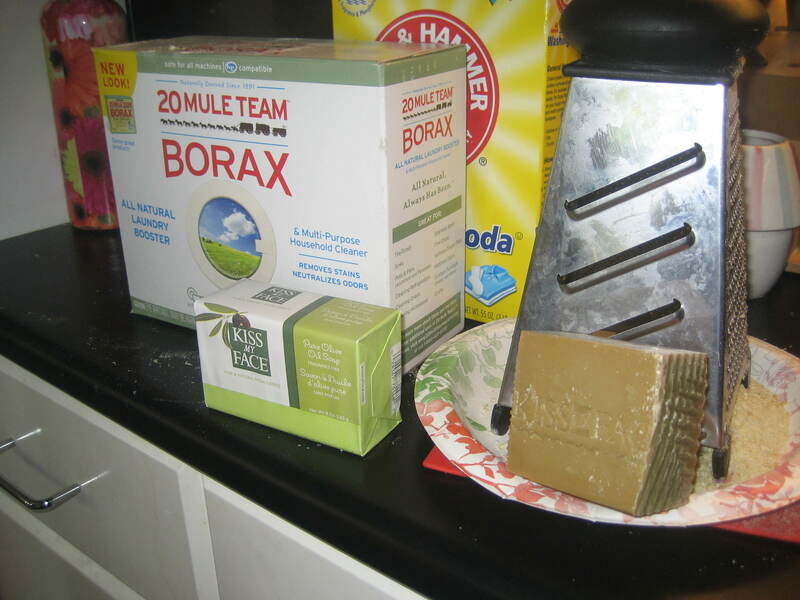 This entry was posted in Cleaning, Cleaning products, Cloth Diapers, Home, Homemade Products. Bookmark the permalink.